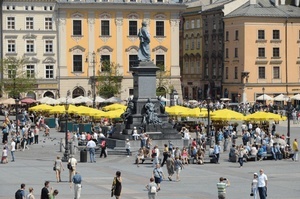 KRAKOW'S HISTORIC CENTRE – on the UNESCO HERITAGE LIST since 1978. AUSCHWITZ - BIRKENAU German Nazi Concentration and Extermination Camp (1940-1945) – on the UNESCO HERITAGE LIST since 1979. This morning we leave for Auschwitz, the former Nazi Extermination Camp Auschwitz-Birkenau. It is a museum today and a silent witness to the human tragedy. On our way back to Krakow we stop in Wadowice, John Paul II' birthplace. After lunch at a local restaurant, we will visit his childhood home. From the window of his bedroom, he could see a clock with the sign “Time flies, eternity awaits."